The Peak Interview is a particular effective method to make unconscious human resources conscious. The client (interviewee) is interviewed about a self-elected personal successful experience. The therapist/ Coach (interviewer) asks about the process that led to this success. Hereby a number of factors, which led to the success, are identified. The client hereby gets an awareness of the success and which conditions and connections that led to the success. This awareness can then be classified as a new resource for the client to handle new challenges, in which the client wishes to use the focus (new goals or new processes). This chapter describes what is meant by a Peak Interview, the theoretical foundation of the Peak Interview, and the methodology to lead a trusting and effective Peak Interview. 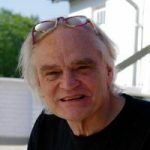 Erik Jarlnæs who as a young man himself had achieved a Danish record in the 400 meters hurdle race and later educated as a psychotherapist, was fascinated by such outstanding sporting improving performance. The fascination led to the meeting and interviewing of 25 different Olympic gold medalists and individual world record holders, including 100 m runner Wilma Rudolph and long jumper Bob Beamon. Through these interviews Erik Jarlnæs discovered that all the winners through their experience had had a peak experiences and that there appeared to be certain aspects (common features), which characterizes a peak experience (detailed in Appendix 1). The clients felt a new peak in having the space and time to tell the selected peak situation for Erik, who was particular present and listening. Through subsequent interviews with business people and a number of students etc. Erik Jarlnæs discovered that everyone had had peak experiences when dealing with difficult challenges. He now explored, whether it was possible for the clients to use their new self-awareness of their own peak experience2 to a possible “repeat” of a peak, e.g. by noting the present “elements” that is meet forward the Peak – and then do something to introduce these elements in everyday life – at work, at home or leisure/ social. In this clip “large windows” and “sun” all are important prerequisites for the resulting Peak – and therefore it was natural to ask if he had these elements at work. No, was the answer, I have small windows facing north (i.e. no sun, only light). But you’re the director, I said! “Aahh YES, I will to go home and look into it,” he replied. At the next workshop, he came back and said he had changed his office to an office with large windows facing west (i.e. afternoon sun) – and he was happier at work, the employees could feel it and it also made them happier. – So, the integration of some of the elements that led up to the peak, lifted everyone’s quality of life, and it also opened up opportunities for creating new peak-like conditions – something in with Csikszentmihalyi’s describes as flow conditions. Flow implies namely the creation of positive feelings and better quality of life by creating a balance between the person’s knowledge and skills and then the person challenged can handle – a perfect balance that allows FLOW modes (Csikszentmihalyi, 1990). While this direction in working with peak experiences remains, the Peak Interview is adopted as a new tool in the coaching area, as it is included in the coaching teaching at the Cand. Merc. Study at the Southern University since 2010 (Warming-Rasmussen and Raalskov, 2010). In coaching the starting point is that the client is a human being without serious mental problems (Gjerde, 2006: 39), and that the purpose is to make well-functioning people even better in managing the current problems in their lives. When the Peak Interview is used like this we can theoretical support it by seeing it as being based on positive psychology, and thus stands in contrast to previous methods in trying to help people. Previous (therapy) methods have focused in the client’s problems3 and, if any deceases4. The ideas with these therapies were to lead to the person back into situations with more or less repressed pain, because the underlying idea was that the client then would be able to redeem the related sadness or anger. More recent focus increasingly leaves this idea, since new focuses has a more positive approach. This evolution official started in 1988 where Martin Salligman, (who was appointed President of the American Psychological Association that same year) in his inaugural address argued that psychology research in the future should be more oriented toward uncovering what makes people happy. Saligman documented based on an extensive literature review that psychology research until then had been most focused on mental disorders such as anger, anxiety and depression. The proportion between “positive” and “negative” focus was 1:51 (Lindskov A., 2007:7). The speech was an eye opener for a number of researchers, psychologists and therapists. By extension a new line of research called Positive Psychology arose. This deals with the personal qualities that enable people to cope with adversity and live a meaningful life. Positive psychology also studies the effect of positive emotions, such as flow situations5 (Lindskov A., 2007:7). In this chapter these personal qualities are called personal resources. In the 90s we in Denmark really felt the effects of the great upheavals which in some years had been ongoing in pedagogy and psychology …… an important element in the new paradigm is that we no longer believe that one single theory can be used to understand almost any problem or context … .today, we instead believe that it is necessary to use a number of more local theories to understand the specific events we experience. … Cognitive resource focused appreciative pedagogy (ed. Note: invite) to expansion and interconnection (Metner & Storgaard, 2008: 9). The message seems to appear clearly, that the positive psychology invites for integration rather than separation methods. Integration votes nor foreign to Kjær, who belongs to the physical line. Kjær writes: “Although the body is the place where emotions, feelings, needs, intuition and experience of happiness arises, they become ” real “to us when they appear in our head”. (Kjær, 2009: 13). According to Kjær the bodily sensation indeed comes before cognitive understanding, but he acknowledges that only when we understand with the head it becomes “real” to us. Perhaps it is this insight that Queen Margrethe’s grounds, when she while the Crown Prince were still young and single, responded to a challenging question from a reporter. The journalist’s question was: “What does your Majesty think, that the Crown Prince should do when he will choose the future crown princess: Should he follow his heart or follow his mind?” The queens’ wise answer was: “I certainly hope that he uses both his heart and his mind!“. A Peak Interview, as it is described in this chapter, integrates both cognitive and physical methods to help people to become aware of their personal resources. We will try to illustrate that cognitive and physical methods complement each other and thereby can make coaching more effective. The coach interviews a client regarding his/her peak experience, focusing in particular on the resources / elements leading up to the peak experience – or successful experience, as we often call it in coaching – without thereby meaning the “result”, because in a Peak Experience the experience is the most important thing, regardless of the possibly outcome achieved simultaneously. This difference was illustrated by one of the big names in Danish swimming, Mette Rasmussen, as she for about 6-8 years ago, was asked by reporters about her best result, and she said a World Cup race in which she was no. 4. The journalists protested, pointing all the finals where she had won gold. But Mette persisted, telling her in the race had had more in it, while she in no-4 race, had granted beyond her limits, and had an incredibly happy experience – and therefore it was the best personal result!! (Although some other swimmers in the race were better and she had not won). As mentioned in the introduction, the Peak interview is a special form of interview that is grounded in positive psychology. This does not mean that the problem is something you sweep under the carpet or just talk around it in order to deny them or forget them. Problems may well be challenges that can be positive to bring to the surface. The method to handle them doesn’t need to focus just on the negative (the client’s perception of inadequacy) and connect this with the old pain, sorrow or failure. Instead, there may be based on the resources that the client has, and which has brought him / her far in life. The client must surely be in the possession of a number of important resources, his / her current situation into account. The client has despite difficulties accomplished many things in life: education, jobs, network, cohabitation partner, children, etc. These big things don’t come easy and it witnesses that the client must have a number of resources in the “backpack”. Aren’t there also resources in the backpack, which means that he / she can handle the current challenge that person calls a problem? – Maybe the client simply needs to be made aware of these resources? The Peak interview is an effective coaching technique that can help the client to become aware of his/her own resources. Awareness of own resources can help the client to greater insight and courage to look forward and act on goals and challenges. A peak experience always includes a prelude and a peak. The prelude is the process that led the client to a joyous success experience, and the peak is the experience of the delight of the success. Think of the time you learned to ride a bike. It was a learning experience where you tried borders – you would like to learn to ride a bike, and you were also too afraid to fall over. Your father (or another person you trust) ran next to you and kept the bike. You’d need confidence in your helper, and you suddenly discovered that you could do it yourself – you mastered both balance and speed – it was a very special experience of joy (a peak). We all have a variety of experiences like this, which is great for us. Some of these experiences have been really important to us, and they have given us some skills that we use when dealing with other challenges. If you can learn to ride a bike, you can also learn to drive a moped, etc. a) The client hasn’t told much about his peak experience to other people, perhaps because the experience provides both depth and vulnerability, in which he/she thinks she is alone. d) The client has a feeling that “the space” in the experience expands (g. a hole on the golf course suddenly fills the entire field of view). e) The client experiences that the senses were sharpened. f) The experience includes a kind of happiness / joy (a bliss-sense), which feels as if the heart opens. As shown in the points above, most aspects in a peak experience is associated with moments of particular awareness. The clarity is both cognitive and physical. The experience also affects something essential, often deep aspects of the client’s dignity or cohesion7. Furthermore the Peak Experience affects something sensitive and private, and as mentioned in a), the client feels alone in the experience, and therefore the client hasn’t spoken much about the experience. This requires the coach to conduct the interview with appropriate respect and humility as prescribed by Kierkegaard (1859). The client’s story about his peak experience can be regarded as a trust gift for the coach, and in many cases this story-sharing becomes a new Peak Experience. The prelude towards the peak (after this called the process), are often toned down or lying unconscious on the client. Too bad enough, because it is indeed here that the explanation must be found as to why and how he succeeded in getting his joyous success. Understanding this includes both conscious and unconscious resources. It is especially exciting to uncover these unconscious resources and make them aware and operational. Conscious resources can be used to obtain new successes. In the previous example with sun and large windows in the exam situation, these two elements were made conscious to the point where the client went back to work and found a way to integrate them – and thereby more new successes arose (by the joy of the Director spreading to employees – and the overall quality of life rose). When we think of a success, as we learned to ride a bike, it seems, on reflection, probably still huge – you probably remember the experience as a big “Yes!” You can probably also feel something in the body, while you think of the experience – perhaps sense a rising power in the chest and clarity in the head? But what led to the mastery of the cycling? Your courage to overcome the fear, the support you received from others in the process, etc.? Are these resources some that you can benefit from in other contexts? The challenge is to uncover what happened just before you mastered it, because here are unconscious resources often saved! It is important to uncover a number of facts and interaction with relationships. Questions that are suitable for this are all kinds of open and clarifying questions (see the discussion of possible issues in Stahlschmidt and Christensen, 2007: 49-62) e.g. Which time of day was it? What did he/she say or do? Have you told anyone? What is holding you back? Our experience with doing interviews show that sometimes many of the aspects are naturaly mentioned by the client as part of the interview, when the coach just listens actively. Other times, it may be very helpful to the client if the coach asks his way in. In the peak moment and in the details are unconscious resources saved – these might deserve to be uncovered, so you can look over them and benefit from them to make new successes. The awareness of the details of your success can give you new hope and new strength. This awareness may enhance both your confidence8 and your self-esteem9, which in turn forms the basis of wanting and willing to take new steps toward realizing more of your potential. 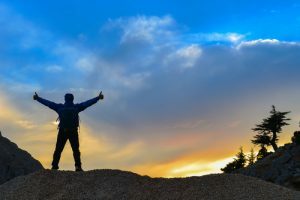 Finally, insights from peak experiences can help you to overcome your own internal resistance10 in situations, where it is inappropriate – especially when your focus shifts from the negative (resistance) to the positive. Daniel N. Stern: Det Nuværende øjeblik, 2005. Stern, who is honorary professor of psychology at the University of Geneva and Professor of Psychiatry at Cornell University, New York, engages in his work “The present moment (2005)” with the phenomenon of “fulfillment” in our consciousness – namely a moment of fulfillment. Stern demonstrates that experiences that are remembered, can be played either in a chronological order (“Kronos”) or by its density (“kairos”) (Stern, 2005:25-27). For example the moment when your eyes first met with her/him whom you fell in love with. This moment, which lasted a few seconds11, can be placed chronologically in relation to the calendar and time, but such a classification seems relatively unimportant. What matters in your mind, is rather “the fulfillment” of the moment- a fulfillment that has both a psychological and a physiological function. Psychologically, it provides a sense of consistency and commitment (or vulnerability and connectedness). It contains therefore an implicitly to assimilate or accommodate the new or solve the problem (Stern, 2005:53). Physiologically it contains changes in the body’s chemistry, which Stern describes as “a sense of self” (Stern, 2005:52). The current moments “fulfillment” (“Kairos”) is often greater than everything else that happened during that month, if not years. Since many of our thoughts, choices and actions are based on our experience, the insight herein may be used positively and resource-oriented to address new challenges. What matters is that we become aware of how the kairos-experiences affect us so that we can draw on these resources12 from the experience while thinking freer and more holistic in solving new problems. The idea with the P​eak Interview is to use both kronos and kairos to ask about the details of the client’s success story. The present moment will often in such (positive) experience be associated with a feeling of happiness, which the client would like to share, and thereby relive. But resources, which made it a success often lies hidden in the preceding process. Therefore, it is important to identify kronos with questions, like: “When did you start this project? Well, it is all a 2 weeks course? When did you get the inspiration?” And uncover kairos with filling issues that extends timeline entries: “Where did you come from? Who was present in 2 weeks course? Were someone with you when you got the inspiration? So you felt support from X and Y? But it is also important to ask questions that extend the “scene” and experience – e.g. description of the nature that was part of the scene, or a description of the family members, colleagues or friends who were part of the scene. Finally, it is important to return to the client and ask for the bodily sensations and emotions – all in the best possible balance. This shows what led to the success and the peak. During the interview an awareness of a number of conditions and coping strategies appears (Metner and Storgård, 2007: 79-89), which so far have remained in the client as a great tacit knowledge (knowing13) (Stern, 2005:130). The new consciousness that the client obtains through the phrasing thereof (Kjær, 2009: 45), becomes a source of resources that can be used in the future to address new challenges. The client rises, as illustrated below, from “unconsciously incompetent” or “consciously incompetent” to initially “consciously competent”14. Aron Antonovski: Helbredets mysterium, 2004. Meaningfulness: ie. these requirements are challenges that are worth to engage in. Antonovski came to the above realization, when he analyzed the reasons why a number of survivors of former prisoners from concentration camp could maintain a very good mental health despite the unimaginable horrors they had endured in the camps (Antonovski, 2005:11). Of those who did well, he saw just these three skills being present to a greater extent than in those who were mentally (and physically) broken. He therefore concluded that the higher the level of the OAS, the better the survivors showed ability to maintain a good mental health. To illustrate Antonovski’s theory includes a summary15 of a dialogue with a South Vietnamese pilot16 who was a prisoner in a North Vietnamese POW camp, and who now lives in exile in Kolding. Life in a POW camp is fairly routine. We were regularly beaten and humiliated. You have a life in which you are living with pain, and you get deep knowledge of your mental and bodily reaction patterns in fearful situations. Pretty soon you will see that it is useless to think of yourself as a victim. Many of my fellow prisoners were crying over the injustice that their government had failed them or that their god had left them. Several of them died rather quickly. I found out that if I placed myself in the sunshine in the morning, and I lived in the moment, I could endure more. I stood in the sunlight in the morning and smiled at the sun. I also began to train my muscles, because it made my body stronger against the punches and the humiliation. I got some of my fellow prisoners to train with me, and the community and seeing them perform better actually gave me moments of joy during all the misery. I am a Christian – and in my evening prayer, I thanked my God for every hour I had during the day. My prayer to be freed gave me hope. I was sure that we had been fighting for the right cause – freedom, democracy and religion. This case will win in the long run. We had also done evil things, so I actually understood why the guards hated us. In fact, some of them were sometimes amazingly good to us, and I tried to get more close to them – in a way they were also “prisoners” – prisoners of hatred and cruelty in their positions. But when you see each other as human beings behind the exterior facade, it brings us closer. Those in whom I got closest, was less cruel to me and to some of the other prisoners. Hatred and war is completely wrong methods to build a good society. We need understanding, trust and forgiveness. As we see from the above summaries, Nguyen Quang Troung largely possesses the OAS. This is perhaps the reason why he survived and that he as a hot dog vendor in Kolding meets you with a smile – he is slim and toned despite his mature age, and he is easy to chat with. He seems happy despite his status-related degradation from a fighter pilot to a hot dog vendor. In this chapter we will use the OAS as an analytical tool for the Peak Interview. During the process of a Peak Interview we will have comprehensibility, manageability and meaningfulness in mind. During the analysis phase we will also try to identify the client’s resources. In the Peak interview we thereby aim to coach the client to deeper comprehension, manageability and meaningfulness. These resources, which was partly unconscious becomes conscious to the client during the interview. When the client “relive” the process that led to the peak, there will be several “aha experiences” that can be applied prospectively to handle challenges. Meanwhile pleasure and intensity will arise at the client. Bråten is dealing intensively with the fundamental role in which emotions play in interpersonal sense, including when making decisions in ethical conflicts (Bråten, 1990: 80-89). This means that decisions are not only made on cognitively rational principles but also on emotional grounds and these emotional terms (which are often not made ​​explicit) is not only an internal matter in the client but also interpersonal (and therefore largely contextual). Decisions in ethical conflicts based on emotional evaluations, is according to Bråten based on interpersonal responsibility. According to Bråten this can’t be called irrational, but must be on the premises, which is based on a so-called caring rationality (Bråten, 1999: 83), which often stands in sharp contrast to conventional logic and justice ethics. Think, for example the biblical parable of the prodigal son (Luke 15,11-32). The father’s decision to greet the prodigal son with a welcome back and celebrate this was hardly an expression of justice but rather caring rationality. Knowledge about the interpersonal sense of rationality is a key to understanding the dissonance between feelings and perceptions. This explains both large proportions of intrapersonal conflict and an interpersonal dispute. Bråten illustrates how this knowledge can explain that the same person can argue for two different positions depending on whether the person focuses on conventional logic that points in the direction of justice, ethics, or caring rationality, based on emotional evaluations. This has a particular relevance in the Peak Interview because the sequence of events in these often contain both 1) intra personal conflicts (such as we see between pulses to drive forward and taught morality, that requires people not to put others in the shade17) and 2) interpersonal feeling of responsibility against the person or the specific persons, which was affected by the course of action. The peak is often unfolding in situations where these conflicts is solved and goes up to a higher level. This will create a happy experience. The client’s subsequent awareness of what led to success can prove to be a resource for solving future intra-personal conflicts and interpersonal discord. These insights from Bråten (mixed with positive psychology) therefore creates a learning and solution-oriented approach to future problems, focusing on what you in the inner-personal and interpersonal want to reach across, rather than focusing on what you want to avoid (see also Dalsgaard, 2006: 237 and Jarlnaes & Luytelaar, 2004:261). The Peak Interviews focus can also be how our human resources are coping with difficult life situations. Such life situations are often associated with high energy, also referred to as stress. There could in principle be selected either a pleasant or a beautiful experience or a shock / trauma experience that the client mastered. There are often unconscious exciting resources in both. This chapter defines however, from situations of shock or trauma. The reason for this is that the coach / therapist by shock / trauma interviews with a risk of a re-dramatization for the client. Shock / trauma situations are often associated with high anxiety and in some cases panic at the client, as it requires special training by the coach / therapist to be competent to accommodate and handle (Brantbjerg and Marcher, 2004). This chapter about the Peak Interview narrows Peak Experiences to successful and joyful experiences where the field contains joy, pride and self-esteem. The field contains at many people’s surprise also strong elements of cohesion with other people (Bråten, 1999: 83; and Jarlnaes & Luytelaar, 2004: 261). The Peak Interview – how? The idea of ​​a Peak Interview is to help the client to have a conscious understanding of his unconscious resources associated with a successful experience. Resources made conscious will help to increase both self-esteem and self-confidence. The way to raise awareness is by the client to verbalize the experiences that led to the successful experience. The client telling his own story and answering the interviewer’s questions achieves this18. A peak interview can notoriously be conducted in approx. 45 min by a trained coach. For an inexperienced coach, the first attempt either takes longer or shorter time depending on the client’s storytelling, and the inexperienced coach’s failure to define and control. An inexperienced coach / therapist may miss questions or miss the courage to interrupt the client by which it quickly reaches the end of its history, the success. Conversely, the inexperienced coach is in danger of not being able to keep the client on the track, which tells desirable into too much detail, which will make the track disappear. Both situations are inappropriate as the purpose is to determine key resources comprehensibility, manageability and meaningfulness in the process. In the first 20 min. the interviewer should try to delay the peak by asking for the process, for example. What did you feel? Who was present? What happened prior to this? Do you sense something in your body right now? The next 10 minutes (the peak itself) deserves attention because it is pleasurable, joyful and great for the client. Here, you often reach a new experience of the “present moment”, which may be associated with happiness tears. The analysis phase, ca. 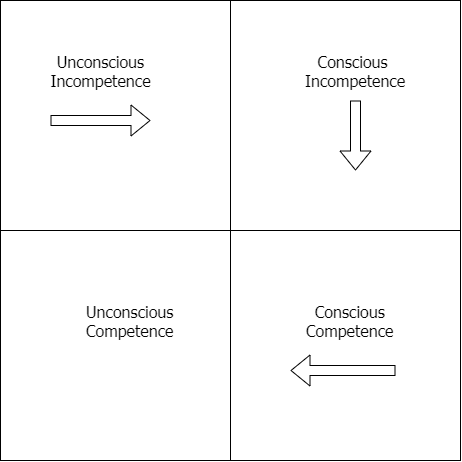 15 minutes is important, because here the unconscious competence will be deliberate and useful as a resource. The Peak Interview is conducted practical by the coach and the client sitting down in two chairs facing each other. The coach asks initially whether the client feels good and the distance between the characters is appropriate19. It can also mean something to slightly angle the position to ensure a relaxed atmosphere (Pease and Pease, 2007: 402). Figure 1: Opening a conversation with a seat angle of 45 degrees for a relaxed atmosphere. If both the client and the interviewer don’t like the distance or angle, then the seating angle and the distance is adjusted until it is suitable. If the client seems a bit nervous about being interviewed, it may be appropriate to feel the earth, also called grounding (see a simple method in Appendix 2). Once the client has found a comfortable position, the interviewer briefly tells the client what a Peak Interview contains and that a peak experience typically contains a realization that the time has come to a standstill, that all the senses were sharp, that there may be religious aspects, there is a high degree of bliss / heart opening, and that you still remember some of the details even though it has been many years since you’ve had the experience, etc. This helps to motivate the client to talk about a successful situation (social, sporting, hobby nature, socially, etc.). The client is then asked whether he/she has a successful experience that he/she will share with the coach by telling about it. Most people can relatively quickly recall a successful experience, otherwise the client can help a little through coaching issues or physical techniques to stand up and raise their hands above the head as in this chapters cover photo20. Therefore, the client is asked to talk about his experience. Most people will gladly tell their story, after all, it is a successful experience21, and they have a tendency to want to rush forward to the success (the Peak). You as an interviewer/coach have to try to delay the story by constantly asking for clarifications, and by asking about what happened just before, who was present at this moment, how the weather was, etc. The goal is to get as much information as possible about the process and the conditions that led to the success, because it is often here that new insights arise for the client. The Peak experience is hereby staged again (and resulting in “making happy again” which sometimes leads to laughter or tears of emotions by the client). At the same time several of the unconscious resources and values, which were part of achieving the peak, are identified. When did you start your preparation for the game? When did you go to the stadium? Had you been thinking about the game prior to the game day? Were you involved from the start of the match? How did you feel when the first half was over? Were you with someone prior to the game, and how was it? How did you feel after the warm up? Did anything specific happen up until 5-10 minutes before the match ended? How did you feel at the time? What did you sense in the body? Describe the last 5 minutes and tell me how you carried along with being in the right place 10 seconds before the end! How did you do it? And what did you feel? It almost sounds like you do could NOT miss, is that right? The purpose with the questions is to help the client to tell his/her story as openly and honestly as possible about the details before the actual success (here the decisive goal). It is therefore important that the questions invite to reflection in the client, i.e. that they are open or circular (Gjerde, 2006: 151) for example. “Which feelings did you have when entering the playing pitch”? Or “how did you perceive the situation when you were behind by one goal?” Unlike closed questions as “were you happy when you walked onto the court?” and “did you think you would lose?.” The closed questions prove or disprove just the interviewer’s own assumptions and provide relative limited new insights from the client. Also, try to reduce the number of questions that start with “why” because it can put the client in a defensive position. There are other ways of getting to the causes, while avoiding that the client goes in defensive (Gjerde, 2006: 152). Why didn’t you accept the challenge? Why did you set this goal? What did you want to achieve? What did you want to achieve with this goal? Source: Own processing with reference to Gjerde (2006: 152). For the client it can be an eye-opener to put the experience into words, verging on a revelation – a famous philosopher has put it like this, that you can’t understand something until you can tell it with words (Wittgenstein, 1953). Through this the client’s understanding of his/her resources, values and conditions that were associated with success, is enlarged. As a football player the successful experience, for example is to win a match with a goal in the last 10 seconds, contain unconscious resources to discover what the community on the team meant or what the support of the audience or the girlfriend meant, what the coach’s advice or a new diet plan caused by new forces, etc. These findings are now conscious resources that the client in the future can use when solving new challenges. The Latin word for feelings, emotions does exactly mean what moves me …….. For the emotional and bodily intelligence, the ability to feel and sense the internal state is essential. The better we can feel the power, the better are our contact with the inner and our understanding of ourselves and our feelings. “(Kjær, 2009: 32-33). During the Peak Interview, it may happen that the interviewer senses own bodily senses. This is often due to a phenomenon known as “mirroring”. Mirroring is possible because we as humans are equipped with so-called mirror neurons, as popularly said, ensures that we in our own body can sense and recognize what the client senses and to some extent can sense his feelings and intentions (Brodahl 2007 : 348; Bauer, 2006). 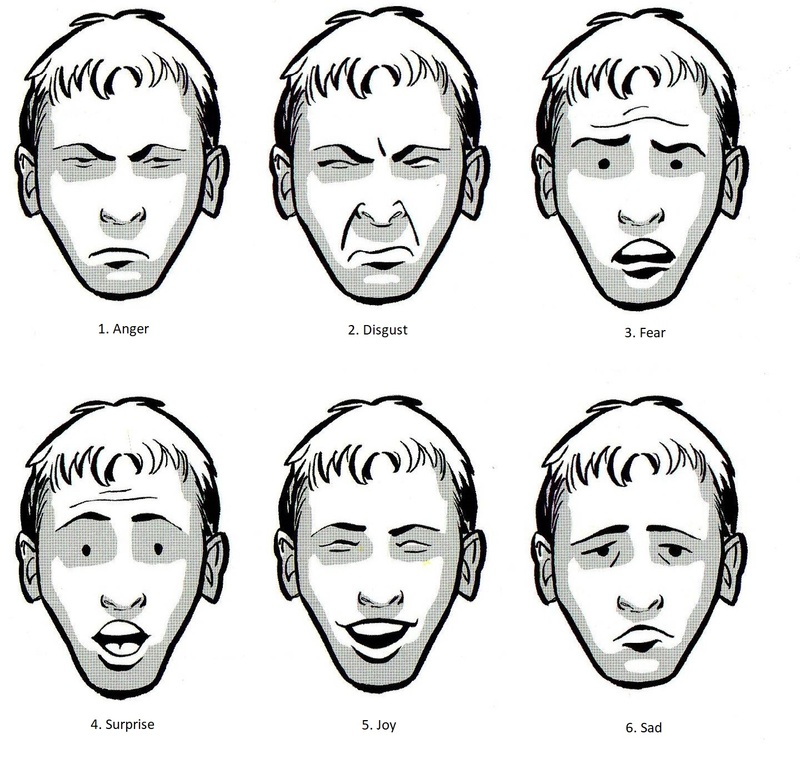 The client’s nervousness or joy can feel bodily at the interviewer (see figure 1, which shows bodily sensations along with trial subjects who observe different emotional situations24). To ensure that you as an interviewer interpret correctly, it is a good idea to obtain feedback from the client (Wolf, 2010: 24). The interviewer can for example express himself such as “What you are saying right now gives me a sense of vibrations in the stomach like butterflies in the stomach, is that feeling something you recognize?” If the mirror is confirmed, you can add: “I interpreted it as nervousness?” The client may again provide feedback. By expressing their own body sense and interpretations they achieve “shared perceptions and emotions”, which can be very liberating for the client because it creates confidence and cohesion25. 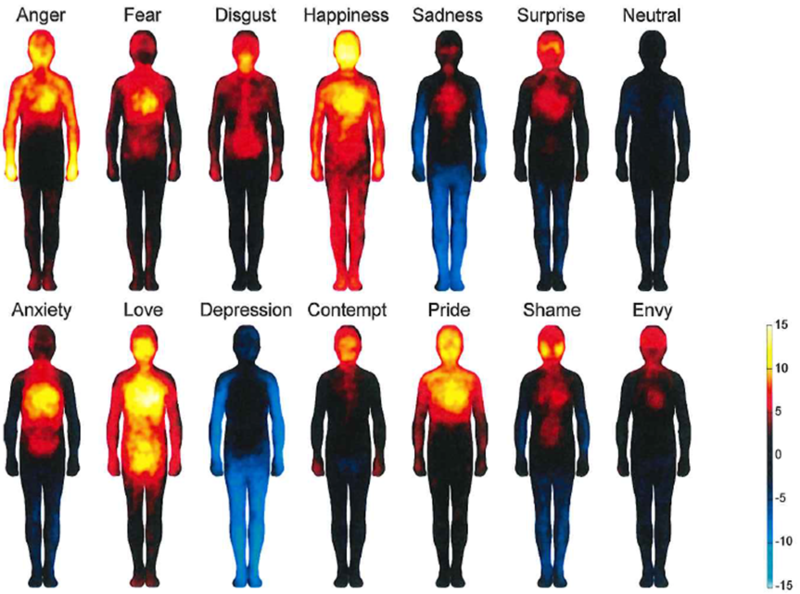 Picture 1: Bodily mapping of emotions (bodily maps of emotions (Nummenmaa et al. 2013)). The ability to mirror accurately is part of being empathetic. This is explained in the next section. “Empathy requires enough calm and susceptibility, so that fine sense signals from another person can be perceived and imitated in the centers of emotions in one’s own brain. … .. There may exist only a low degree of/or no empathy when the brains center of emotion exposes the body to a strong reaction, for example, an angry outbursts. “(Golemann, 1997: 153). Recent brain research by Biocypernautic Institute, California confirms this. In a stressful situation in which our brainwaves are at beta level, our empathy is lower than when we are in a state of inner peace and balance, where brain waves are alpha-level29 (Hardt and Harris, 2007). Most people have a number of their own ways to bring a state of inner peace and balance. A recognizing resource-focused approach invites both the interviewer and the client to make this approach the basis to promote an appropriate Peak Interview. Examples of techniques are to recognize the nervousness and to face it with the client’s own reassurance or by guiding the client to a sense of (grounding) (see illustration, Appendix 2). Popular techniques for this are also Mindfullness in which we won’t concentrate in this chapter. In order to ensure that the interpretation of these muscle movements is correct, the interviewer can visualize both its observation and interpretation by making it explicit. Say simply, “I see that you change the corners of your mouth into a small smile – is that right?” If the client answers “yes”, the interviewer can add: “I interpret it as you being happy?” and wait for the client’s confirm or rebut. Similarly, the eye contact is an important source for the interviewer to figure out if the client is auditory or visual. Eye movements indicate this, see figure 3. These insights gives the interviewer a better chance of being able to “reach” the client. Try to use your auditory side, when talking to an auditory person. And talk in pictures with a visual person. 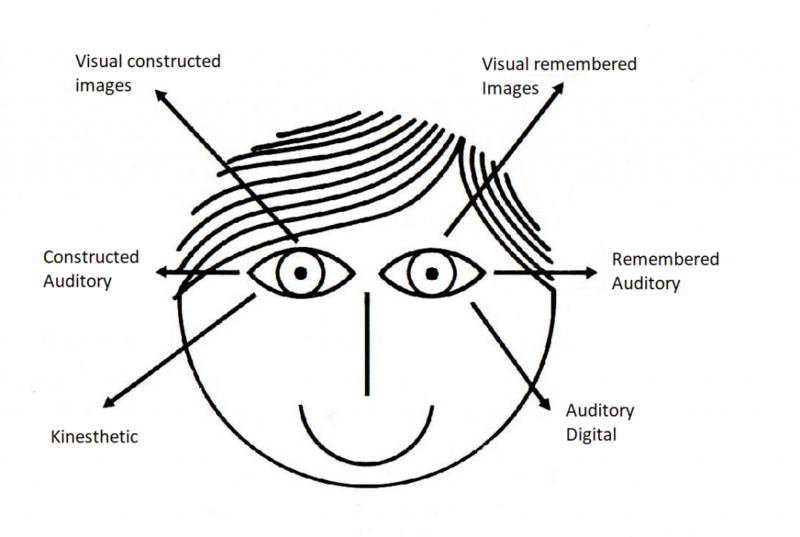 The eye movements can also detect whether the client is talking about something he/she remembers or if it is something of which he constructs in the present. Some NLP therapists claim so that you can detect lies by the recital of eye movements by the client30. The rest of the client’s body also has a language – the so-called body language (Hvid, 1990). If, for example the client let the shoulders sink in the middle of the conversation, it could mean that he/she shows despair; If he/she leans forward, it can mean that the client shows more interest or that they are bored and want to end the conversation (Pease and Pease, 2007: 282). The understanding of a client is nurtured by a series of signals from the body language. The ability to perceive and interpret the emotions behind these signals depends partly on these insights, and partly of empathy, as previously described. During the Peak Interview, it may be a good idea for the interviewer to take notes. It’s OK to say, “Wait a minute, I will note a few keywords!” This prevents the interviewer to remove eye contact from the client, while the client is talking. The client will probably try to see such contexts; thereby inevitably touch on matters that are experience of contexts (comprehensibility, manageability and meaningfulness, cf. Antonovski). Sometimes it may be beneficial to ask in the reverse order, as experience shows that it opens the overview before the details. The interviewer may open by asking, what is meaningful for the client in the peak. After this the interviewer can ask about what resources the client sees himself in possession of and what was determined for him/her to reach the peak (manageability), and finally the external and internal stimuli that initiated the various actions in the process (comprehension). The newly discovered correlations can be called resources to cope with future challenges. In conclusion, you should ask the client if he/she can imagine how he/she can use the newly discovered resources in everyday life. In addition, it is natural to take advantage of the so-called bridging question: “If you were to build on what we have pointed out, what would you suggest?” (Gørtz and Prehn, 2008:56). Below the essence of two Peak Interviews are briefly outlined, in which the analysis phase gave the client a valuable insights into their own resources, including values, motivations and defense. In the heats, it turns out that particular insight into more or less unconscious values and drivers bleed up on subjects often almost automated defense. The analysis phase can be summarized in the so-called DISC frame of reference (Marston, 1928), which is a mandatory angle of Cand. Merc. In the course, Coaching, at University of Southern Denmark in Kolding. DISC is a simplified approach to archetypes and their defense (see Appendix 3). During the Peak Interviews the client is led to see behind her own archetypes locks in a particular defense. The first client who by a personality test has been “sentenced” to be a competence seeking, i.e. “C” (see below), discovers throughout the interview that she appreciates the “S” values, whereby the oppressed “S” skills become aware resources. The second client who by a personality test has been “sentenced” to be dominant, i.e. “D”, discovers throughout the interview that he appreciates “S” and “I” values, whereby these unconscious competence becomes conscious resources. Conversely, “S” types and “I” types often discover themselves having “D” and “C” skills31. This leads us to the realization that we as individuals do not have to be maintained in rigid archetype-defense, but can be more flexible and dynamic through coaching including Peak Interviews. Comparable divisions of personality types are drawn up by Jung and Myers & Briggs (see Buelens et al., 2006: 53-59). A student who, by the DISC personality test is High C (i.e. a person who has great demands on structure, rules and organizing) had chosen to tell a Peak experience about when she gave birth to her first child. During her story in the Peak Interview she relived what great and beautiful experience it was for her to deliver her child. During the analysis phase, it dawned on her that during the process (the preconditions for the Peak) she had experienced a feeling of closeness and connectedness with her ​​husband, who had given her the power to be able to stand the great physical pain in an unexpectedly good way. During all the pain she had several glimpses of that time standing still, and that she had felt intensity, deep love and gratitude (peaks). Now where she during the Peak Interview recognized this, a warm and quiet feeling began to spread in her chest from the abdomen and up to his neck. And she knew that without this support the birth wouldn’t have been the same. This strong and now conscious insight made ​​it clear to her that she missed this support in everyday life, but also that she had the opportunity to ask for more closeness. It would be a great relief in dealing with large emotional challenges in her life. The insight was even stronger by the fact that the interviewer made ​​her see the connection between the experiences along with her knowledge of DISC. She was suddenly in possession of two resources 1) C’s need structure, organization, and need for perfection in the details and 2) the ability to indulge in trust to receive closeness and support (who are mainly archetype S’s skills). Re. meaningfulness: It gave deep meaningfulness that such a physically and mentally tough task as giving birth to a child is done in union with her ​​husband. Together they created the child and together they bring it to the world. Re. manageability: As a high C she was used to plan all details, to follow rules and to maintain control. During the birth, this was several times not possible. She had to give herself to nature. Here she discovered a flow, which was beautiful, not least because her husband was present and lovingly supportive. The realization that such support can also be found in everyday life was a great resource. Re. Comprehension: The Peak Interview also gave a number of realizations of the external and internal stimuli that initiated the various actions in the process, for example that she during a contraction had reach out to her husband’s hand, and he tenderly had accepted it. By squeezing his hand her pain had been more bearable. Also the fact that he voluntarily had supported her neck during a contraction had had a major effect on her. Finally, it was important that she felt a competent support from the midwife. Overall, it was the breakthrough for her to be aware that, for most support from both a competent person and her husband can be obtained. That retail planning rules and controls can’t always be maintained and that trust and devotion to the process may be necessary and can lead to success. A student at Cand. Merc. (ML)32, as a result of DISC analysis particularly high scores on D (Which means goes for dominance by achieving results and appearing competing in its focus areas) told a Peak experience about football. The young man and his football team won against a competing team and the weird thing was that they won despite the fact that he and two other players had been at a disco the night before. The prerequisites of winning had been so poor, and yet they had won. During the process of the Peak Interview, it became clear that he had woken early this morning; his friend and teammate came as promised to pick him up. On the way to the stadium they had met some of the girls from the school; they went with the boys to cheer for them. They had had a lot of fun and there had been a lot of exhilarating teasing between him and some of the other players in the locker room, and the interaction had just worked. He remembered several glimpses of happy faces throughout the process, and the girl’s enthusiastic shouts had been great for him and the boys. They had managed to play a good game and in the last minutes a teammate managed to score the decisive goal. During the analysis phase, it dawned on him that the good atmosphere he and his friend had in the morning was what had started the success. The girls joined and the fresh tone in the locker room had started a kind of flow that made ​​the game on the field very fun. The many happy smiles between him, the various spectators and players touched him while telling the story. It was now clear to him that it was the interaction between him, his friends and the audience that really mattered. It had been “really cool” (in his words). The interviewer made him compare D-archetype resources (dominance and competing) with the new insights on the interaction with colleagues as something essential and joyful. He realized here that he could also have used his S’s resources (community and caring). Finally, he realized that he also had the ability to be encouraging and teasing and to let him be charmed by the girls’ cries, which in general is the archetype I’s resources (management via charm and relationships). He could easily relate these findings to tackle future challenges. Re. meaningfulness: It gave deep meaningfulness of the young man that the process wasn’t only good for building the power to a victory, but the process itself in reality was joyous. Being together with the others, the interactions, the attention and the joyful teasing had been “fantastic”. It occurred to the boy that this was at least as important as victory. Re. manageability: The young man had been at the disco the night before and was woken early, so he had to cognitively prepare for a bad game. He realized, however, that against the odds he were able to compete on the field, because he was picked up by a comrade, was cheered on by the girls and was teased kindly by his teammates because of his night out. It was possible to win because there was a good interaction. But even if they had not won, it would have been a good experience of cohesion. Re. Comprehension: The Peak Interview also gave a number of realizations of external and internal stimuli that initiated the various actions in the process. It meant something that his friend had kept his promise and picked him up, despite the fact that they had been at the disco the night before. The happy teasing smile he looked into when he opened the door for his friend. He had felt very tired, but the girls’ cheering had given him strength to fight. The interaction on the field had worked amazingly well, and it gave a feeling of flow during the match. Overall, it was a breakthrough for the young man to become aware, that the process means as much as the result. That it is possible to win, even if the conditions aren’t looking too bright. The interaction with his teammates and the girls’ cheering in the process meant so much. That he was important to the flow on the field, despite his night out. As shown in the above two examples, a Peak interview often leads to two wonderful things: 1) The phase of telling the story leads him/her to relive the joy of its success (peak) – in the two examples, giving birth to a child and to win a football game despite the weakening of a night out. 2) During the analysis phase there often arises a new joy in raising awareness of the resources of OAS. Overall, this is often gives the desire and courage to use the now conscious resources to deal with other current and future challenges. The Peak interview often gives the client a desire for follow-up coaching on how he/she can actually involve the now conscious resources in specific relationships in everyday life. This can hardly be reached during the Peak interview, but can be offered in a new coaching session or even in a longer coaching series, depending on the scale of the challenge. This chapter about the Peak interview indicates a form of interview, based on positive psychology, which has a resource focused and appreciative approach. In the interview includes both cognitive and physical techniques that are particularly effective to relive the joy of a successful experience with the client. The Peak interview stands out in particular by examining the process that led to the successful experience. In the process there often lie a number of unconscious resources, which can be made aware of the client. These resources are often complementary to the archetype resources, which the client normally uses when handling challenges. And to take ownership of them opens new action opportunities and development opportunities for the client. The authors of this chapter hope you enjoy and feel successful in the use of the Peak interview in the future, private as well as professional. Bent Warming-Rasmussen, Erik Jarlnæs and Jesper Raalskov. Jarlnæs’reply was that he had experienced a shock because he was afraid of the peak experience – it appeared to come “out of the blue”, and not by his own efforts. In other words, he could not accommodate the powerful energy that was in the Peak experience – it scared him instead. He had been forced to process the resulting shock, redeem the strong energy and learn to accommodate this energy. In doing so, he could jump again -if he wanted to. The basis of the points a-j, in the chapter “Peak experience” is a summary of 14 peak interviews. The 14 peak interviews took place at the Bodynamic educations project day in Maribo, 2007 under supervision of the course instructor, Bodynamic therapist and psychoanalyst Erik Jarlnæs, Bodynamic Institute. In the following table’s left column shows the following points a-j, which describes the elements that appear to be repeated in most Peak experiences. The right column described the words that the clients relate to these points when they talk about them. In situations where a client seems nervous, it may be advantageous to carry out a so-called grounding, which means mental lowering the high energy (stress) by physically relaxing the muscles. There are a variety of techniques to do so. From a resource focused appreciative approach used in this chapter, it may be appropriate to start with the client’s own technique to reduce nervousness. Alternatively a simple grounding technique from Bodynamic system can be used; a technique that is illustrated below. The coach: I see that you are sitting uneasily in his chair and you sweat on the forehead – it gives me the assumption that you are feeling a little nervous right now? The client: Yes, it’s unusual for me to talk to you this way, so I’m a little nervous! The coach: I would like you to use your own techniques to make you relax a little; would that be OK with you? The client: Oh, yes, that would be nice! – (After a small break) I usually take a deep breath and shake my arms slightly! The coach: OK, I would like to follow you, so will you guide us both with words, while we use your techniques? Subsequently the client guides and it often creates both peace and trust. Sense the soles of your feet against the ground by a) to trample in the floor and b) then feel! (Often a sense of tingling in the soles of the feet, which is caused by increased blood flow). Then carry out the following points 3-5, one by one, while you sense the soles of the feet on the ground. It is important to dispense your movements according to the principle: How little is needed before it feels comfortable for you. The trick here is to be able to dispense. The better the dose, the better you can connect the (physical) sensation with (mental) sensing. If you push too hard the effect is slowed, some people can’t even sense anything under pressure. Scroll back and forth on the entire sole of the foot (both feet parallel)! Then roll to the outside of the foot! Now scroll to the inside of the foot (as if you were a flatfoot)! Stand a little on tiptoe and move your feet from side to side – then do the same while standing slightly on his heels! Stand in the normal position and feel into your mind – how is your nervousness right now? After this physical exercise (grounding) most people feel a little surprised that nervousness has transformed itself into a state of calm. Both the interviewer and the client can now sit down, and the Peak interview can start. Finally, it should be mentioned that the client’s own techniques can be combined with both the specified Bodynamic technique and/or other techniques, see the following chapters in Gjerde:”Hvordan kan man komme I kontakt med intuitionen?” (Gjerde, 2006: 321-333), Metner & Storgaard: “Mestring og intervention” (Metner & Storgaard, 2008: 84-87), Silva and Stone: ”Hvordan kontakter du den Anden Side” (Silva & Stone: 1994: 40-45) eller Kjær: ”Kropslig intelligens og oplevelsen af lykke” (Kjær, 2009: 141). All of these techniques are about activating the parasympathetic nervous system and thereby counteracting the perception of stress and nervousness (Brodahl 2007: 458). DISC reference framework developed by William Moulton Marston. The DISC model is distinguished by simplifying human types into four archetypes associated with type specific practices when handling the challenges summarized in appendix 3. Jesper Raalskov, b. 1976, since 2001 teaching associate professor at the University of Southern Denmark, at the Institute for Entrepreneurship and Relationship Management. Jesper researches in talent management in the financial sector, in order to get a PhD in 2005/6. He holds a cand. merc. in management and leadership from the University of Southern Denmark Kolding (2002). Previously Jesper worked two years as a Project consultant at the business development organization: Kolding Business Development (now Business Kolding) and then Nykredit, where he worked for more than 5 years as an account manager in the Business Centre Silkeborg, where he was a steward. 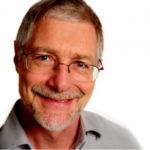 Jesper is also a trained NLP Business Practitioner. Brantbjerg, M. ”Tag vare på dig selv som behandler”, Bodynamic International ApS, 2003. Brantbjerg M. H. og Marcher, D., ”Ressourcer i chokmestring – Vejen til et ressourceorienteret perspektiv på chok”, Forlaget Kreatik, 2004. Brantbjerg, M. H. og Ollars, L., ”Musklernes intelligens” – om 11 Bodynamic Jeg-funktioner, forlaget Kreatik. 2006. Bråten, Stein, ”Kommunikation og samspil – fra fødsel til alderdom”, Dafolo Forlag 1999. Buelens, M.; Broeck, H.; Vanderheyden, K. Kretiner, R and Kinicki, A.,”Organisational behaviour”, McGraw-Hill, 2004. Carson, R.D., “Taming your Gremlin. A guide to enjoy Yourself”. Harper & Row Publishers, inc., 1983. Dalsgaard, T. red., ”Stress – et moderne arbejdsvilkår? ” Jurist- og Økonomforbundets Forlag, 2006. ”Den nye Psykologihåndbog”, red. Mogens Brørup, M; Hauge, L og Thomsen, U.L., Gyldendals Bogklubber, 2004. Deviney, D., Mills, L. H., Gerlich, N. R. & Santander, C.; Impact of Behavioral Factors on GPA for Gifted and Talented Students, “Academy of Educational Leadership Journal”, Vol. 15 (2), 2011. 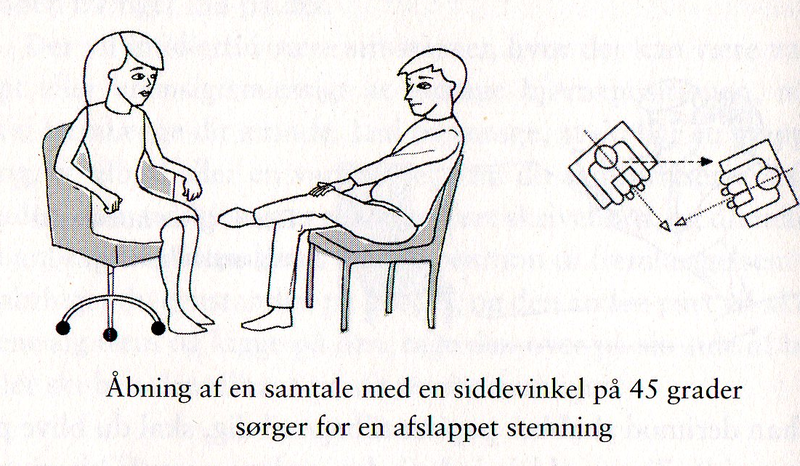 Gjerde, S., ”Coaching”, Forlaget Samfundslitteratur, 2006. Goleman, D. ”Følelsernes intelligens”, Borgen, 1997. Gørtz, K. og Prehn, A.”Coaching i perspektiv”, Hans Reitzels Forlag, 2008. Hardt, J., Harris, B.”The Art of smart Thinking,” Biocybernaut Press, 2007. Hvid, T., ”Kroppens fortællinger”, Forlaget Modtryk, 1990. Jarlnæs, E. “Kunsten at løse knuder op: bodyknot-modellen som ledelses- og kommunikationsredskab”, Bodynamic International ApS, 2003. Kierkegaard, S., ”Synspunktet for min Forfatter-Virksomhed. En ligefrem Meddelelse”, C.A. Reitzels Forlag, 1859. Kjær, K. G., ”Kropslig intelligens”, Borgen 2009. Lindskov A., ”Smil hvis du er stresset” Asterisk, nr. 36, 2007, s. 6-10, Danmarks Pædagogiske Universitetsskole. Metner, L. og Storgård P., ”KRAP – Kognitiv, Ressourcefokuseret og Anerkendende Pædagogik”, Dafolo, 2008. Metze E. og Nystrup, J., ”Samtaletræning – håndbog i præcis kommunikation”, Socialpædagogisk Bibliotek, Hans Reitzels Forlag 2007. Nummenmaa, L., Glerean, E.; Hari, R. and Hietanen J. K. (2013)”Bodily maps of emotions”, Proceeding of the National Academy of Sciences of the United States of America, www.pnas.org/cgi/doi/10.1073/.1321664111. Pease, A. og Pease, B.,”Kropssprog – hvad vi fortæller uden ord”, Borgen, 2007. Psychologie, „Hände hoch für gute Laune“, Zeit Wissen Ratgeber Psychologie, Nr. 2, 2010. Ray, M. og Myers, R., ”Creativity in Business”, Doubleday Dell Publishing Group Inc., New York, 1989. Silva, J. og Stone, R. ”Få hjælp fra den anden side med Silva metoden”, SphinX. Forlag, Copenhagen, 1994. Stern, D. N., ”Det nuværende øjeblik – i psykoterapi og hverdagsliv”, Hans Reitzels Forlag, 2005. Warming-Rasmussen, B. og L.; Raalskov, J., ”Peak-interviewet” Institut for entreprenørskab og relationsledelse, working Paper 2010/2, Red. Grethe Heldbjerg. Syddansk Universitet.